Hi Sharon, I too contemplated doing a course but bro g too independently minded for my own good and frightened by the cost I forged ahead by my self withthe support of a book and ingredients from cheeselinks.ate you in oz or elsewhere? Hmm, don't text while walking is the moral of that story! Apologies for the typos! Is there no end to your talents?? 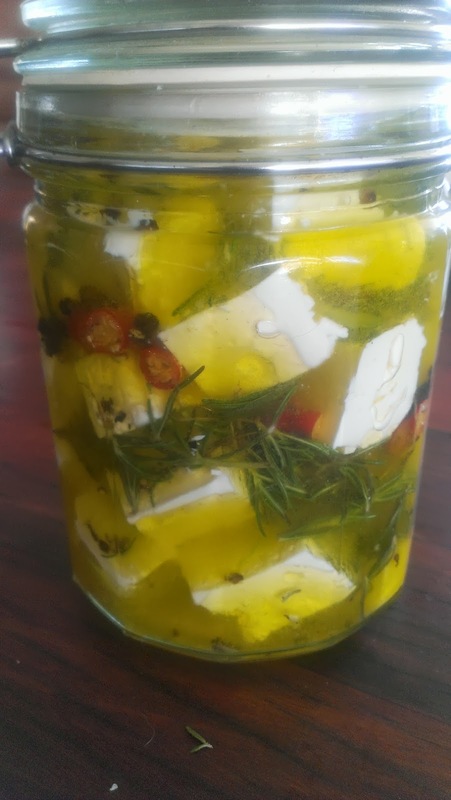 Wow, home-made feta, I LOVE feta. It sounds weird but watermelon, basil and feta salad with a splash of lime juice and grind of black pepper tastes good. You can substitute mint for the basil. Oh I wish it were summer, that's a great salad! My favourite feta combinations: beetroot with feta and mint, broad beans with green garlic and feta, feta and parsley (in filo triangles), feta and spinach (spanakopita), feta and dill on cucumber - with the dill and feta whipped to dress the cucumber, Feta and pumpkin with pretty much any herb you can think of. I could probably go on but will spare you. I am something of a feta fan as you can see. Oh one last one - crumbled through a tomato chilli and olive sauce for pasta and topped with lots of parsley. Excellent suggestions. In fact I am addicted to your beetroot and feta salad. I cant wait to try the broad bean combo when my broad beans are ready to go. Yum! 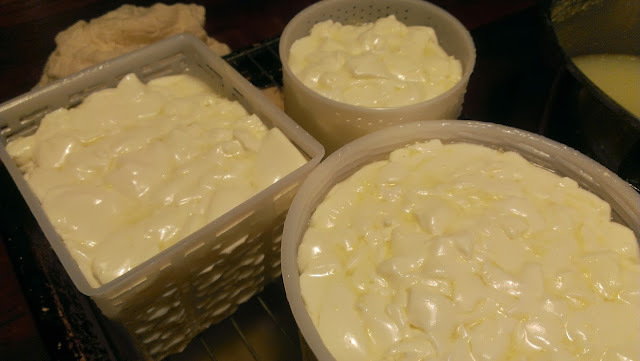 Homemade halloumi is also delicious and surprisingly easy, which is about as complicated as my homemade cheesemaking has gotten. 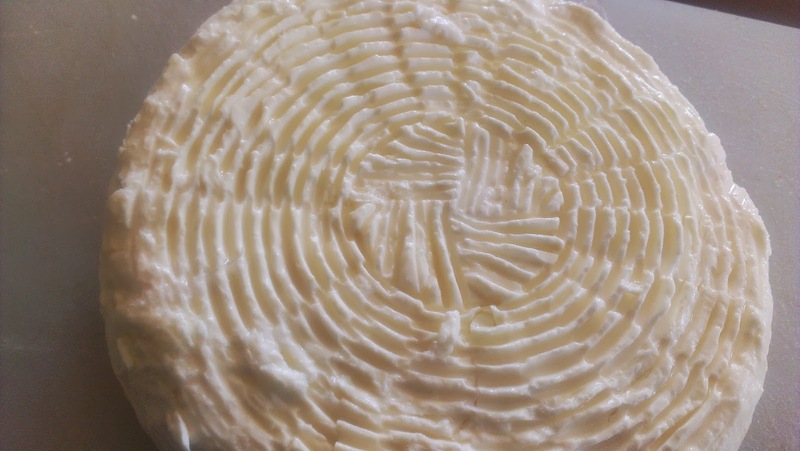 I've been meaning to do cream cheese from Gavin's recipe. One day. I love feta in watermelon salad much like Nina, but mine is more like a greek salad with added watermelon. Salty and sweet and oh so yum. Also love it in frittata with some good chorizo (come on, when are you making your own sausages?...) and peas. That's it, I will try Haloumi next. Don't get me started on thoughts of sausgae making... I could EASILY get into that. Wait a second. Don't you have lambing sheep? Therefore all the key ingredients of sheep's feta right out in your paddock? Or is milking a sheep easier said than done? Its true, you are right! Its something we have contemplated. Right now everything is new and we are taking one step at a time. There are also breeds that are best for wool and meat and milk. Our girls are pretty much meat sheep . Just having ewes that successfully lamb is big enough at the moment! But you are right , sheep feta is the best! much the same. Perhaps we should try it out on these girls. ?